LG has launched the LG X2 in South Korea, an almost $200 phone that runs Android Nougat. LG has unveiled the LG X2 in South Korea. The budget handset comes with some entry-level specs and Android Nougat. The phone will cost 198,000 won (about $176) in Korea. LG has unveiled the budget LG X2 in South Korea. The phone is set to be released in Korea (though LG didn’t specify when in its announcement) for 198,000 won (about $176). The release of the X2 comes soon after the slightly more expensive LG X5. The LG X2 specs won’t impress, even with the device’s relatively small price. It features a 5-inch HD display, 2GB RAM, 16GB of internal storage, a 1.3GHz Quad Core processor, and a 2,500mAh battery. The front camera comes in at 5MP while the rear camera is 8MP. The real kick in the teeth comes from the fact that it will ship with Android Nougat, ten months after the release of Android Oreo. Even the aforementioned LG X5 came with Oreo. In terms of software, the LG X2 will have an auto-shot feature that automatically recognizes faces when taking a selfie. It will also have a quick share feature for sharing pictures. 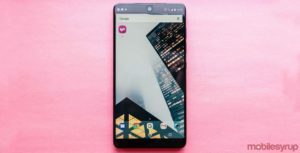 Considering what other manufacturers are offering for a similar price, the LG X2 doesn’t appear to be particularly competitive. Phones from Xiaomi like the Redmi Note 5 and Redmi S2 both offer more RAM, storage, and a bigger battery for a similar price. While there is currently no news of an international release for the phone, there probably aren’t that many people holding their breath for this one.